So you think you know about spirits, do you? Upon Nelson’s death, at the battle of Trafalgar, his body was placed in a barrel of rum. During the voyage home,the sailors drilled holes through the wood and drank the rum, giving rise to the British naval term for rum, ‘Nelson’s blood’. 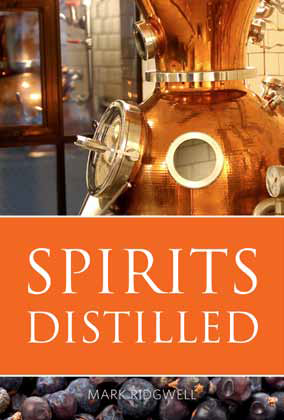 designed to educate and inform those whose vocation or hobby is spirits. the end of each chapter are a fun and useful way of understanding better the spirits they enjoy. spirits, Spirits distilled is a classic in the making. introducing it to the rest of the world. vocational qualification relating to spirits and liqueurs. Specifications Paperback, 216 x 135mm, 240pp, mono illustrations. An uncorrected PDF proof is available for review. Mark Ridgwell is willing to give interviews.